In late November, I announced AWS re:Inforce, a standalone conference where we will deep dive into the latest approaches to security, identity, and risk management utilizing AWS services, features, and tools. Now, after months of planning, the time has arrived to open registration! Ticket sales begin on March 12th at 10:00am PDT, and you can access the ticket sales website here. We do expect to sell out, so please consider registering soon to also secure a hotel (as well as take advantage of our travel discounts). In celebration, we are offering a limited, while supplies last, $100 discount on the full conference ticket price of $1,099. Register with code RFSAL19 to take advantage of this limited offer. Learn more about AWS re:Inforce here. 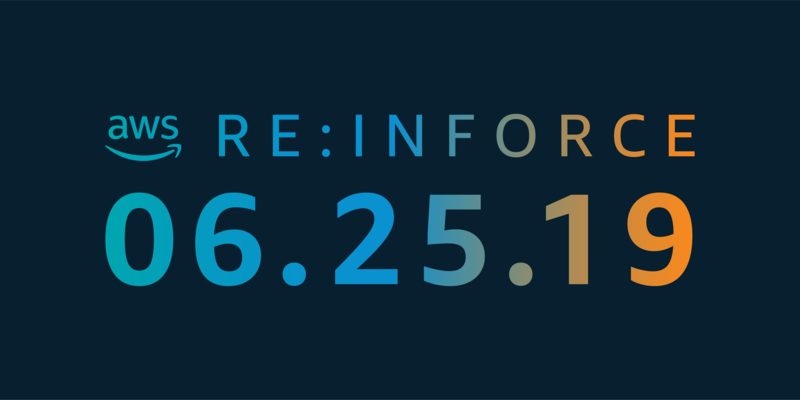 Purchase tickets for AWS re:Inforce here.